ask a question and we’ll answer promptly! Bought a Single Family home in 2019 for approximately $425K in Frederick, MD. Paul and Ashley operate as dynamic real estate team. I had lived in the Frederick area for less than a year when I began my home search, and Paul and Ashley were very helpful in providing information about the area. With each tour of a prospective home, they were willing to provide their professional expertise so that I could qualify the strengths and weaknesses of each home based on the items they learned were important to for me to consider in purchasing. And once I found a great house, Paul and Ashley continued to be there for me during the negotiating process which had several obstacles to overcome even after we thought everything was set to go. Paul and Ashley were also very accommodating of my hectic work schedule for which I grateful. I highly recommend Paul and Ashley to anyone searching for a home to purchase. Sold a home in 2018 in Linganore-Bartonsville, Frederick, MD 21701. Ashley and Paul, you two have been great throughout this entire process; though at times I got a bit frustrated with things totally out of your control, you reassured me that everything would be ok. We love our new home and Jazzy is adjusting fine now! Our daughter probably won't ever move out; she loves her room and downtown living. Sold a Single Family home in 2018 in Brooklyn Park, MD. They took the time to understand our situation and our home then presented the facts. Their knowledge of how things work allowed us to decide what were going to do to sell our home. We switched realtors due to lack of communication Paul and Ashley were completely opposite and personally still contacted us during their vacation. Bought a home in 2018 in Gapland, Rohrersville, MD 21779. Bought a Single Family home in 2018 for approximately $525K in Frederick, MD. Brittany was wonderful, Professional, knowledgeable and responsive to work work with. But also, very personable too. We were in the situation of buying a new home and having to sell our existing home at the same time. She and the entire Warthen Team were indispensable. Believe me, there were anxious moments and it was the professional skills and confidence of Brittany and the Warthen Team that made it all work. Bought a Single Family home in 2018 for approximately $225K in Orrtanna, PA.
Brittany was extremely patient with my wife Kim and I .we looked for a secondary property for a while last year . However due to personal reasons we had to let that desire go for 6 months. When we were ready we recontacted Brittany we found a wonderful cabin in penn. On a lake. Brittany stayed the course with us ,found the property we wanted and at the price we needed. She is a exceptional realtor and person. We’d use her again for sure !! 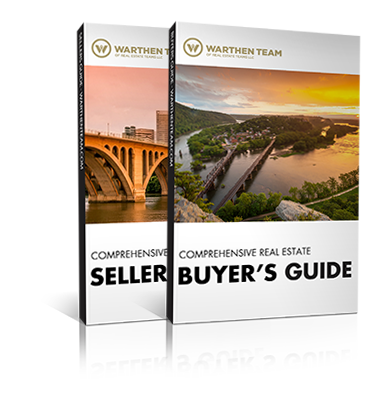 Whenever I've needed a consultation in Real Estate matters, I've always received great advice from Ashley and Paul Warthen. Their 35 years of experience are clearly evident by their deep knowledge of Real Estate and their ability to smoothly navigate every part of the transaction. Very professional, with a high level of attention to detail. Whether buying or selling a home, you can trust and rely on Paul and Ashley Warthen. Highly recommended! Bought a Condo home in 2018 for approximately $150K in Hagerstown, MD. Brittany is awesome! She assisted me with such grace. She was very friendly and didn’t mind me calling her for advice. When I requested her to send me available listing she did so right away. Bought a Single Family home in 2018 for approximately $350K in Boonsboro, MD. Brittany showed us multiple homes until we decided on one. She always made herself available for showings. She is very knowledgeable and fun to work with! When it comes to negotiating she makes sure you get what you want. The whole home buying experience was positive with Brittany and we’ll definitely be recommending her! Bought a Single Family home in 2018 for approximately $250K in Harpers Ferry, WV. Paul and Ashley walked us through buying our first home. There are so many hurdles to cross and they helped us through each one. We had a lot of questions, and they answered them promplty and with patience. If you are looking to buy a home and want a team with knowledge and experience, this is it. Sold a Single Family home in 2018 for approximately $475K in Frederick, MD. Paul and Ashley are the best! It was a true pleasure to work with both of them; they are both very responsive and whenever we had a question or concern, they were immediately right on top of it. Sold a Single Family home in 2018 for approximately $600K in Frederick, MD. Incredible! Paul and Ashley were shining stars in what can be a rough landscape. They were professional, knowledgeable, expert at executing and personable. They were there at every moment we needed them. Always available to answer a question or help or guide us through a decision. There is absolutely no hesitation to give the the highest recommendation. Bought a Single Family home in 2018 for approximately $325K in Stephenson, VA.
Paul and Ashley are so easy to work with. They helped us to find a great place to live, even when we were unsure of what we wanted. They helped us to refine our needs for a second home, when my husband started a new job. They are very attentive and were able to answer all our questions. Paul and Ashley were able to remain calm and focused when things got stressful. We would highly recommend Paul and Ashley! Bought a Single Family home in 2018 for approximately $650K in Knoxville, MD. Brittany helped us buy a beautiful property with acreage in Brownsville, MD. She was patient, knowledgeable and thorough as we navigated a new area and issues unique to older historic homes. Bought a Single Family home in 2017 in Cascade, MD. Brittany was very patient with us as we searched for a home. Being first time home buyers, we often wanted second looks for peace of mind in this important decision. Brittany aided us immensely in peace of mind when we finally found our home. We plan to utilize her services in future home buying. Bought a home in 2017 in Creagerstown, Thurmont, MD 21788. On a visit to MD about a year ago I was trying to find an agent to show me some property's in the Frederick and surrounding area. I called several realty offices and Brittany was the only agent who responded to my call and was willing and able, on very short notice, to meet me and show me around. I found her to be very knowledgable about the area, available properties and the entire purchase process. She showed me a beautiful property within my price range and was able to help me and offer all the necessary referals for financing, inspections, title co., escrow agents and more. As a result I am now the proud owner of a property in Thurmont MD and I have a good friend in the area who continues to be of assistance as needed. Sold a Single Family home in 2017 in Hagerstown, MD. David is amazing to work with. He went above and beyond with advertising open houses and tried to help find a buyer for the people who bought my house (they had a townhouse to sell) He knew his stuff and was an honest, trustworthy Gentleman. Truly a sweetheart and will gladly work with him again! Sold a Townhouse home in 2018 for approximately $225K in Frederick, MD. Paul and Ashley are the best to work with. I used them for the purchase and more recently, the sale, of my home. Not only are they knowledgable about what's going on in the market, they're just straight fun to work with! Bought a Single Family home in 2018 for approximately $450K in Walkersville, MD. Ashley and Paul were wonderful to work with. They are both very knowledgeable, and prompt in answering all our questions. They were always available to take us to see houses, and if they ever didn’t have an answer to a question they would find someone who did. It took a long time for us to find the one house we truly loved, and they were with us every step of the way. We recommend them to anyone who is looking for honest, knowledgeable, professional and caring real state agents. Bought and sold a home in 2017 in Arden, Inwood, WV 25428. We moved to a new area and we're unsure what exactly we wanted. We ended up looking at multiple houses before we found the perfect new construction. The sale of our old home out of state did not go quickly and we missed out on our perfect house but Paul and Ashley we able to get us the exact same floor plan when our old home did sell. Bought a Single Family home in 2017 for approximately $275K in Thurmont, MD. Brittany was an excellent realtor and very flexible with our schedule and always available for questions if you had any. She was very helpful in finding a house to accommodate the needs of my significant other and the need for wheelchair accessibility. If I ever buy another house or sell, I will not be going to anyone else. Definitely one of the best realtors in the Frederick area. Sold a Single Family home in 2017 for approximately $325K in Harpers Ferry, WV. We had met Ashley when I found a home on Zillow. We immediately felt a good vibe with her. Soon after, her and Paul became our full time realtors and we just loved them. Always willing to help, super personable, knowledgeable and pretty much available whenever you need them.....you ask to look at a house and you are looking at it that evening or the next day. They went through the agony of looking for months with us...even going through a 4.5 hr inspection and never complaining once ( love you Paul! ). Once we did find our home, we were sad to lose them as realtors....but, we gained two great people in our lives. I would highly recommend Paul and Ashley to anyone....I mean, does there even need to be any more realtors in this area when we are blessed with Paul and Ashley Warthen........OH!! and Steve too!!!!! Thanks Ashley and Paul - your the best! Bought a Single Family home in 2017 for approximately $200K in Sharpsburg, MD. Brittany was an above and beyond realtor. Being a first time home buyer I started out on a very different track then where I ended up and Brittany was there each step of the way guiding through each new avenue I pursued. I ended up with an adorable cabin on 8 acres and being a bank owned property like they all seem to be, it was a challenging one. Brittany went above and beyond to ensure documents were sent and received promptly. With the housing market moving so quickly she knew time was of the essence to get this deal through. Even went problems arose with the selling bank, she was right there to take care of everything. There were a few headaches that had to deal with this particular property and the conditional it was in, but she knew how much I wanted it, where my vision for it could take me, and she reached out to all the necessary contacts to get me to closing day. I highly recommend Brittany any buyer/seller and especially a first time buyer since she is able to really explain the process and make it as smooth as possible. Bought and sold a Single Family home in 2017 for approximately $800K in Frederick, MD. We had lived in Frederick before so we knew the area that we wanted to relocate. Unfortunately there were not a lot of home listed in our desired area when we began our search. Whenever a new property would come on the market she scheduled a showing immediately. We wanted a completely renovated home that would only need minor cosmetic changes. Once we found the house Brittany helped us to secure the house for well below the asking price. Sold a home in 2017 in Creagerstown, Thurmont, MD 21788. We listed our commercial property (property with 2 apartments) with Brittany Reaver. In our area, there were several commercial properties for sale. Brittany did not let the slow commercial market keep her down. We were very pleased with her "can do" attitude, which resulted in the successful sale of our property. Bought a Townhouse home in 2016 for approximately $275K in Frederick, MD. Incredibly intelligent, knowledgeable, and worked relentlessly to get us in the best position for our family. We recommend her to everyone we know. Thanks Brittany! Bought a Single Family home in 2017 for approximately $150K in Taneytown, MD. As a first-time homebuyer, I was green to the process and honestly had no idea what I was doing. The first day I met Brittany, she told me that working with first-time homebuyers was her favorite thing (or one of!) to do and she proved it by being there for every step of the process. She is a fantastic and knowledgable realtor and a pretty great person, too. Bought a Single Family home in 2017 for approximately $225K in Thurmont, MD. Ms. Reaver is by far the best real estate agent I have ever encountered. To give you an example of her responsiveness we had originally made arrangements to view a house with another agent who never showed up for the appointment. While still at the house we called the number on the real estate sign to find out what went wrong and discovered it was a forwarding service that randomly connected you with a real estate agency in your area - in this case not the one with which we had originally made the appointment. Ms. Reaver, never having met us and not having ever made any arrangements with us in the past, dropped everything she was doing and drove out to the property in the evening hours (it was dark and raining, in fact) and showed us the house. She was so friendly, accommodating and professional that we decided to work with her instead. We were not disappointed in the least. Throughout the process she listened to our needs, worked with us to find the house we wanted and held our hands every step of the way. Her recommendations were always excellent and we ended up with the house we love. Unlike many other real estate agents with whom I have worked in the past she neither pressured us to purchase a house with a higher price than we had budgeted nor did she treat us as second-class customers not worth her time. She was simply the best possible real estate agent we could ever have found. I will go further and say that the agency which she represents is also fantastic. From the very first point of contact they were nothing less than helpful, friendly and polite. I would recommend Ms. Reaver to anyone trying to buy or sell a house. Bought a Condo home in 2017 for approximately $225K in Frederick, MD. My husband and I had spent some time viewing properties online and had decided it was finally time to take the plunge and start our official search. A task that can seem rather daunting soon became easy and exciting! Paul and Ashley were highly recommended to us by a very trusted long time friend of the family, who happened to be a real estate lawyer, and had worked with them on several settlements. Immediately, we knew they were going to be a great fit for us - they were friendly and professional, and refreshingly easy to communicate and coordinate with. We began our search looking at our dream home - old Victorians. We had our "must have" list of course, but soon realized that that list was more of a "some day would like to have list"...and began revising our standards. This process took us on a whole new journey, in three different counties, from our beloved Victorians to new build construction to townhouses, to the home that we ended up purchasing, which is a multilevel condo, about a mile from where we were renting (talk about coming full circle). Not only did Paul and Ashley take that roller coaster of a journey with us, they helped us navigate the pros and cons of each style and location, and helped us factor in certain [potential] additional costs, like city taxes and condo/HOA fees. We had no idea we'd find our home in only a few short weeks, but once we did, Paul and Ashley jumped right into negotiations and within 24 hours, we were under contract! The nitty-gritty of all the fine print of a contract can quickly become over whelming, but thankfully, this was not the case, as Ashley went over each page with us to make us informed and comfortable with what we were agreeing to. That actually sums up the process - informed and comfortable with a heavy sprinkle of fun! 🙂 While we do love our multilevel condo, stairs and all...when the day comes to move on, we will definitely be working with Paul and Ashley again and their incredible team and will highly recommend them, as they were once so highly recommended to us! Bought a Single Family home in 2017 for approximately $125K in Harpers Ferry, WV. Ashley and Paul were extremely responsive and professional. They always followed up quickly on our questions and we had a great experience working with them! We highly recommend them. Bought a Townhouse home in 2016 in Downtown, Martinsburg, WV. Can't say enough good things about this dynamic duo. They helped my mom negotiate a tricky short sale at a low price point -- all while she was living 600 miles away! They treated us like we were buying a million dollar mansion -- excellent communication at every single step along the way. Paul & Ashley have a way of making you feel like you're their only customer -- even though they're extremely busy folks. They even took time out of their Christmas Eve to come and show my mother the house she was buying because she happened to be in town for the holiday. Not every agent makes that kind of commitment to their clients, and that's why I recommend them with enthusiasm to anybody looking for a home in the area. You couldn't ask for a nicer or more professional couple of folks. Sold a Condo home in 2017 in Frederick, MD. Paul and Ashley Warthen were very helpful through the entire process of selling my condo in Frederick, MD. They are energetic and enthusiastic about their work. My trust in them was well founded. My home sold in 6 days for what believe to have been the best price possible in today's market. Give them a call, you will not regret it. Sold a Single Family home in 2016 for approximately $350K in Frederick, MD. It is hard to find the words to express how grateful I am for all the support and guidance received from Ashley and Paul Warthen surrounding the sale of my house. They both understood this was a difficult time for me and went above and beyond my expectations in handling this sale. Every question, every concern was answered timely and with honest feedback always putting my best interest first. I would highly recommend this team !! Bought a home in 2016 for approximately $175K. Paul & Ashley Warthen were absolutely wonderful to work with! They are super flexible, honest and incredibly easy going. They made our first home buying experience a breeze! They also gave us a good bit og insight on neighborhoods we weren't familiar with which we greatly appreciate. We will definitely work with them on future house hunts! Bought and sold a Single Family home in 2016 for approximately $150K in Martinsburg, WV. They were the most helpful, sweet, and honest realtors my husband and I have ever worked with. I would definitely recommend them to anyone who is trying to buy, and or sell a home. They have done nothing but great things for us. Because they made it possible for us to buy a home my husband and I are now living in our dream home and on to new beginnings. 5-star ratings across the board for me!!! Bought a Single Family home in 2016 for approximately $650K in Lovettsville, VA.
Ashley and Paul are the best realtors we have ever dealt with. Extremely knowledgeable, responsive at all hours, and very good negotiators. They went the extra mile to ensure we found the perfect home and helped us close the sale at a reasonable price. When we asked a question, if they did not immediately have the answer, they found it quickly and provided the detailed information back. They were always on time for meetings and they were prompt and thorough in helping us complete the required paperwork. The Home Inspector they recommended was phenomenal. As stressful as home buying/selling can be, they made the entire process easy and stress free. We cannot speak highly enough about these two professionals. Thank you! Bought and sold a Single Family home in 2016 for approximately $325K in Myersville, MD. They both worked extremely hard to sell our home and help us buy our new home. We used them to buy our previous home and were just as impressed with their services than. Bought and sold a Single Family home in 2016 for approximately $600K in Lovettsville, VA.
Ashley and Paul Warthen are exceptional agents. They are not only knowledgeable of the market but they go beyond what one would expect from real estate agents. I cannot recommend Ashley and Paul highly enough. It was a pleasure working with them and I would definitely use them again if I need to buy or sell another house. Bought a Single Family home in 2016 for approximately $400K in Falling Waters, WV. Ashley and Paul were, in a word, PHENOMENAL! The second house they showed us turned out to be the perfect home for our family. Their professionalism, knowledge and commitment to service are beyond anything we had ever experienced or expected from a Real Estate Agent. When we had questions, Ashley would jump on her laptop and immediately find an answer for us. When there were some difficulties with the transaction just prior to closing, Paul and Ashley went above and beyond to solve problems and find solutions to make the deal come together. They make a great team, both with skills and abilities that complement each other. They are kind, fun, easy to work with and genuinely take pleasure in helping families find their dream home. Working with them was a fantastic experience and we would give them our strongest recommendation. Sold a Multi Family home in 2016 for approximately $175K in Martinsburg, WV. Thanks to Paul and Ashley, our house was under contract after only two days on the market and sold for above list price. We wanted a quick sale and they helped make that a reality. We believe that the services that made our house stand out above the market were the professional photography that they provided and the list price they recommended. They kept us up to date on everything and responded readily to any questions or concerns. Sold a home in 2016 in Uniontown, Centreville, VA 20121. 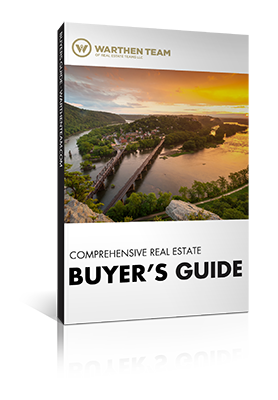 Paul and Ashley are so down to earth and so knowledge about the VA, MD, WV & PA real estate market. I'm so glad I found them and I highly recommend them! They did an awesome job for us! Paul and Ashley started with the staging and photography of our house which set the stage perfectly for the sale. We had many lookers comment on how perfectly the house was staged. In our area it was a difficult market in which to sell, but they led us through all the twists and turns for the final sale. They made sure everything was aligned for a smooth closing with no problems. Our warmest regards and heartfelt thank you for all your help. Highly recommended. Bought and sold a home in 2016 in Nollville, Martinsburg, WV 25403. Paul and Ashley are very good at what they do. They are very respectful and can awser any questions you may have for them. I strongly recommend you to make them your next realtors. They made our buying experience very relaxing and smooth going. Bought a Townhouse home in 2016 for approximately $175K in Charles Town, WV. 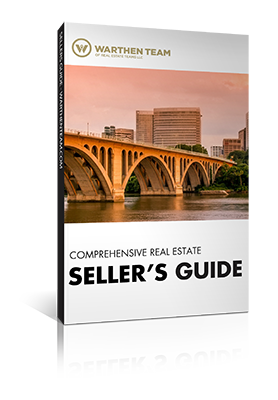 Sold a Single Family home in 2016 for approximately $400K in Alexandria, VA.
With their expert guidance we got more than we expected for our sale and made the whole process a breeze. The stager and photographer they used were also top notch. And, all of this was timed to perfection with the purchase of a short sale that, without Paul and Ashley's knowledge and patience, would have fallen through. Without them we wouldn't have our dream home. Bought a Townhouse home in 2016 for approximately $200K in Frederick, MD. Paul and Ashley were so attentive to our search for a home. They responded quickly to our questions/requests. They led us through the paperwork all the way to settlement. Thank you for a pleasurable home buying experience!! Bought a Single Family home in 2015 for approximately $175K in Williamsport, MD. Paul and Ashley are the best team you will find. They are very professional, very helpful, very calm, very knowledgeable, they are great. They are always looking out for you best interest and are great explaining and answering questions. Im very happy with the service they provided me and I would recommend them to anyone in a heartbeat. Paul and Ashley thank you for everything. Bought a home in 2015 in Brunswick, MD. Paul and Ashley are two of the most knowledgeable and professional realtors out there! They successfully explored options according to what my specific needs were. On the days we toured listings, it wasn’t a case of which one did I like the best but rather, it was a question of “how will I eliminate ANY of these choices…they are all so good!” They definitely did their homework before we even scheduled an appointment to view. They are very personable, efficient and easy to do business with. If ever I need to move again, they will be the first team I contact. I highly recommend them to help with your real estate needs! Bought a Single Family home in 2015 for approximately $900K in Purcellville, VA.
Paul and Ashley were wonderful to work with to find our perfect home! It look some time and lots of looking to find exactly what fit our situation, but we found it and they helped to bring everything together before, during and after the sale. Highly recommended! Paul and Ashley were absolutely incredible when selling my house. I dont even know where to begin! I was a bit of a problem child with the house, missing deadlines, not being able to get it ready to sell on time, and the whole time they were there with smiles helping with the process and giving great advice on the dealings of the housing market, and when I ran into problems in construction, they were able to point me in the right direction of some great contractors that did an awesome job as well. The price they chose to sell the house at was well beyond what I thought Id get, and the price we finally got for the property was above that price! They held my hand the whole way, responding incredibly quick to any inquiries I had or issues that came up. Since this was my first time selling a house, I thought it was going to be a bit of a nightmare. But with their help, expertise with the market and the type of area they were working in, I walked away very happy! I would recommend this happy couple to anyone, and I always do. I promise, you wont go wrong with Paul and Ashley! I found Paul and Ashley on Zillow based on their reviews, and I’m so glad I contacted them. They were responsive within 24 hours and showed us homes immediately. We lived in another state so their local knowledge was very helpful. We ended up dealing with an extremely difficult seller so Paul and Ashley really had their work cut out for them getting the sale. They had tons of local recommendations for contractors, electricians and plumbers to help us once we closed. I will definitely recommend them in the future to anyone looking! Couldn’t find a nicer, more professional team. Wow where do I even begin! Paul & Ashley were fantastic to work with; they made the experience of buying a home amazing. Your first thought going into buying a home is that the agents are going to be pretty pushy and not really understand what you are looking for, but Paul & Ashley proved that theory completely wrong. From the first time we met with Paul & Ashley they knew exactly what we wanted and what we didn’t want. I was pretty clueless when first going into the process of purchasing a home but they really took the time to make sure I understood it and gave me all of their honest feelings about everything. They were very patient with us & so comfortable to work with. Since purchasing our first home we have since then sold the home and purchased the home of our dreams. Paul & Ashley were they every step of the way to make our dreams happen. I feel we have become very close friends since going through this process and I would refer them to anyone. As a matter of fact I already referred multiple friends to them, both to purchase and sell homes, all of which couldn’t be more pleased with how their experience went . There are not enough “thank you’s” to show them how happy they made us.